Texans for Public Justice breaks industries into 13 broad categories. 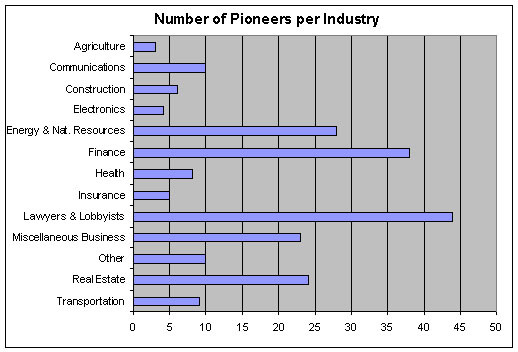 Lawyers & Lobbyists led the Pioneers, with Financial and Energy interests close behind. Source: Texans for Public Justice.